We carry out all types of watch repairs and can repair almost any mechanical watch. However, as materials are becoming obsolete, the only option is often to make new parts which can be very time consuming and therefore costly, often outweighing the financial value of the watch. We recommend that you consider this when buying any unrestored watch without a retailer or manufacturer’s guarantee. Whilst we are able to service many quartz watches, we are watchmakers, not electrical engineers and cannot make circuit boards or coils for watches. Therefore beware when buying electric and quartz watches without a manufacturer or retailer’s guarantee. 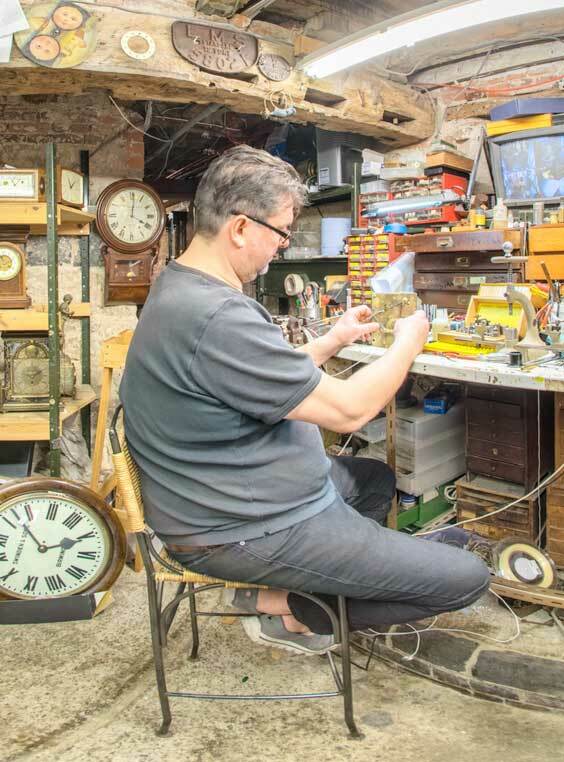 » View More on clock repairs.